Vermont Aged Care is seeking an experienced Registered Nurse Division 2 – Medication Endorsed, for a full-time position at our expanding aged care facility. In fact our busy, family owned aged care facility has been providing respite, permanent, dementia specific and palliative care to our residents for over 3 decades. So you’ll be joining an established team of committed professionals. Better still there’s no “nursing home” attitude at Vermont Aged Care. That’s because we believe in the quality of life and happiness of each one of our elderly residents. So if you want to work with a dynamic, passionate team of dedicated carers then this job is for you! You will be accountable to the Director of Nursing and the Registered Nurse in charge of the shift worked. They are charged with ensuring you have everything you need to enjoy your work at Vermont Aged Care. Better still, as a family run facility, you’ll have access to the decision makers on a daily basis. In fact, our family focussed community is just one of the things that sets us apart and makes working at Vermont Aged Care so special. 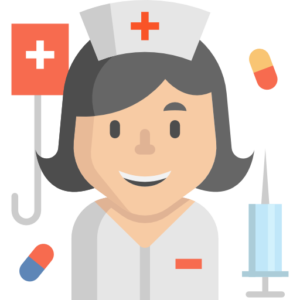 You must be a Victorian Registered Nurse Division 2 – Medication endorsed to apply for this role. In fact, due to the nature of the role, you must have this qualification to be considered for this post. Your roster will be agreed upon between you and the Director of Nursing. Further, your hours will be limited to 38 hours maximum per week. Better still, at Vermont we try hard to find the right work/life balance for all our team members. That’s just one of the ways that we ensure a great working community at Vermont aged care. Read on to understand this role better. We will support you in the maintenance of clinical knowledge and skills in Gerontic Nursing care. For example, you will be attending regular in-services and information sessions. Further, on some of your shifts you will attend regular lecture sessions as provided by one of our staff of off-site specialists. Better still, off-site training and events may be provided to you as required. In fact, these are just some of the ways in which we ensure our continuing commitment to your further education is promoted. You will learn more about this if you are shortlisted for an interview.